This program modifies Fallout's game executable in memory for the purposes of increasing the visual resolution, playing in a window and other enhancements. Made it possible to use Alternate Mouse Input with Sfall's graphic modes. Most features comparable to version 4.1.8 of the Fallout2 Hi-Res Patch. An option in the "f1_res.ini" to reduce CPU usage. The flickering screen fix is now always on and is not adjustable in the f1_res.ini. 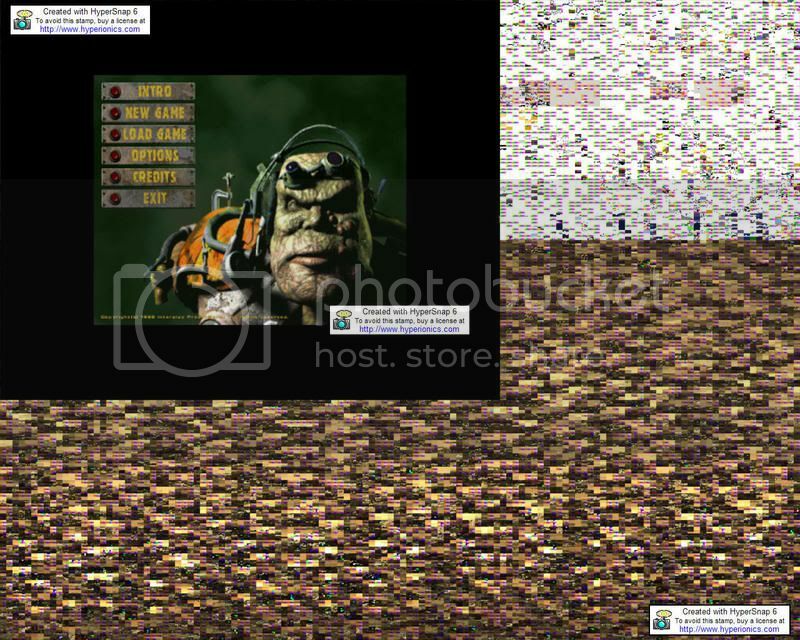 Features comparable to version 3.0.2 of the Fallout2 Hi-Res Patch. Added a new window to setup angled clipping, used to clean up some original maps. Added a button to the iFace-Bar to toggle Block Object Viewing. Added a button to the iFace-Bar to open the Map Edge Setup Window. Added a toggle button to view all map edge lines. The Map Edge Setup Window has been overhauled and should be far more intuitive to use. Added an option in the top-bar settings menu to switch between hi-res and original blockers. Here's a link to some Screen Shots Mostly taken using the Mapper2. Nice work anyway. I was wondering what mod you were working on that required a dll. Sorry I didn't respond to your request for sfall to load dll's; I do still intend to do it once my exams are over. Now you just need to find someone to alter every single one of the maps to add some landscape outside of the normal borders. Small question from me: Would it be possible to upscale the screen resolution without dx9 mode? Because, I want to change completely to Ubuntu but for Fallout modding I need to install a virtual machine (because Sfall will not work with Wine, of course). The game works fine and so on, but I can only run it in a small 640x480px window. If I change my desktop resolution to 640x480px, everything is ok, but I don't want to change the resolution everytime. The virtual machine doesn't support dx9 as far as I can see, so the game crashs, if I start it. Take all the time you need, and good luck on your exams. Neither does software scaling, or the load_shader script function; I just did the bare minimum to get dx9 mode working for those who need it to fix the black screen bug. The non-essential extras can wait. i'm just getting a generic "file" when i download it...wtf? actually, i just clicked "open with" and choose winrar and it worked. weird. thanks anyway! can't wait to try it out!!! Wild_qwerty Sonny, I Watched the Vault Bein' Built! Are you using a mac or something Dude? I'm scared of Mac: http://bleedyourealquiet.ytmnd.com/ I am on PC. nope. it was pretty strange, XP over here. EDIT: nevermind, i know what i was doing (being retarded). it looks great mash, thanks!!! I learned this news from other forum. Thank Mash for your great job!! How do i play it in window mode? This is a most excellent mod, can we hope for a Mapper2.exe version? Especially since the Mapper is just like the game in that it has one large interface bar placed at the bottom, covering about 1/5 of the screen's height, same size as the in-game one. The Mapper is on my list. At the moment I'm working on making my fallout2 patch compatible with the UK 1.02e and the French and German 1.02d versions. I've also made a start on a fallout1 resolution patch. Things have been progressing smoothly enough but I'm not going to give out any ETAs at the moment. would this hack work for the 1.1 restoration project ? Killap ? Already asked several times... Answer is - yes. P.S. Is this "mod" still being worked on/updated?